I ran down the street to where Armin told me to go. He had found Levi but he had said something happened, and i needed to see it for myself. "Eren!" Mikasa yelled from far behind me. I didn&apos;t care about her right now..I had to find Armin and Levi. I need Levi alive, I want him and I to be together. I want our family to come, so we can be happy. I want us to have a beautiful family. A family that we can care for, I want it to come true. I looked up and saw Armin holding a black cat in his hands. Blood was on his hands and coming from his forehead. I ran and came to a holt..i saw Levi little head turn to me. His gray eyes showed that he was fine. I smiled and walked to them, Armin set Levi down. 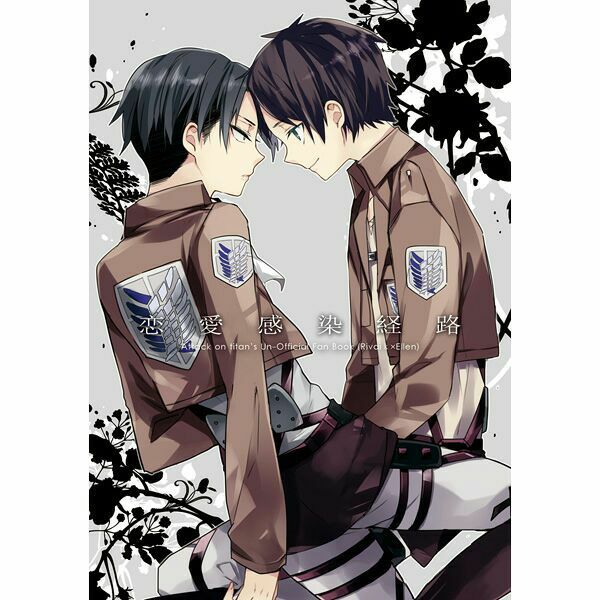 Levi had looked up at Armin, then turned to me. I got down on one knee and waited tell Levi walked to me. He had took his time walking, but his head was hanging done like if he was in trouble. He stopped and looked up at me with his eyes ever so big. I could fall into them and just stay there. His ears picked up and his head lifted higher. His eyes shined like if his whole life was just waiting for some one to say that. I reached my hands out and grabbed Levi. I pulled him close to my body and huged him, never wanting to let go. I walked into my house with Levi in my arms. I sat him down on the floor while I quickly ran to my room. I sat down on the floor still, not wanting to move. I wanted to change into my human form, but I also didn&apos;t.
I don&apos;t want to talk to Eren. I know he would give me a big speach about if I got hurt he would flip. But I had to face it one way or Another, I can&apos;t stay in a cat body for ever. I walked into the living room and was face to face with Levi. His eyes stared into mine, his hands were rested on his little belly bump, and his tail swayed around. "Eren..i- I&apos;m sorry. I didn&apos;t mean to put our family in harm. I just.." He trailed off as his eyes watered. His ears picked up and his tail stopped swaying around. "Levi, I love you so much that I can&apos;t get mad at you. I would sometimes but at this time I can&apos;t," I paused as I removed my hand from his head, and placed it under his chin to make him look me in the eye," Levi, your my boyfriend. An my soon to be husband. I can&apos;t get mad at you for something from the past." I felt my own eyes water, I was saying everything I keep to myself for so long. I love him, that if he died, I would kill myself as well. "Levi..I love you too," I said  I got down on one knee and pulled out a box that I got before I found out about me getting accepted into NYU. I opened it and got Levi&apos;s left hand and looked him in the eyes. 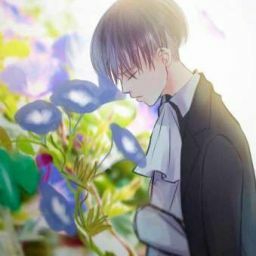 "Levi Ackerman, will you be by my side. To live with me for the rest of our life&apos;s. To grow a family to love and cherish together. Levi, my love, will you be my little neko for the rest of my life, can we continue this love for the rest of our lives?" I smiled and felt more tears escape, I pulled out the ring and slid it onto his ring finger. I quickly got up and wrapped my arms around his waist and picked him off the ground. "I&apos;ll never leave you ever again."